Joantahn Viera who arrived just last summer from Las Palmas is already uncertain about his future at Valencia CF, having been left out from the squad for most of the matches. In fact he hasn't featured in a match since early last year and most of his appearances have been substitutions with only about 10-15 minutes time. 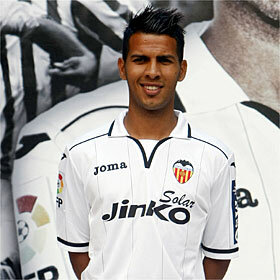 Jonathan Viera is worried about his situation and has talked to his agent in order to inquire if his services are going to be needed or not. He's been told that he is going to be used more often and the coach Ernest Valverde talked to him this week, but we'll see if its just false promises of more playing time or if he will start featuring more. Valencia CF president Manuel Llorente head already hurts with the problems around Juan Bernat and Adil Rami, so having one more unsatisfied player is not what he would want, especially if he is to be challenged this summer for the presidency, which we'll see what happens now that the Valencian government owns the club.